JP Engineering & Southern Regional College Business Support Centre work together to design and develop a pallet fork front loader attachment with four tonne lift capacity. 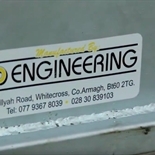 Profile: JP Engineering specialises in general engineering and metal fabrication and their products are becoming well known for their quality, durability and strength. Challenge: The company wished to extend their product range and offer a pallet fork attachment for a front loader with a four tonne lift capacity and offer a Jib crane attachment for a Telehandler and front loader. In order to manufacture and CE mark these products to the desired lift capacity, JP engineering needed to design and develop the products and then carry out simulation stress analysis to ensure the products could safely lift the required load. Solution: Connected funded the initial scope out sessions and meetings between JP Engineering and Southern Regional College (SRC) Business Support Centre. Later, funded by the Invest NI Innovation Voucher scheme, the team worked together to design and develop their pallet fork front loader attachment with four tonne lift capacity. The project focused on design and development of the new product, with interactive simulation stress analysis testing carried out to analyse design changes. JP Engineering completed a second Innovation Voucher to design and develop Jib crane attachments for telehandlers and front loaders. The task was to design an adjustable Jib crane and work out the max lifting capacity across the different lifting positions. Once the final new design was confirmed, a user manual and manufacturing drawings were created for the product. Manufacturing and assembly drawings were created from the CAD model, to ensure accurate manufacture. 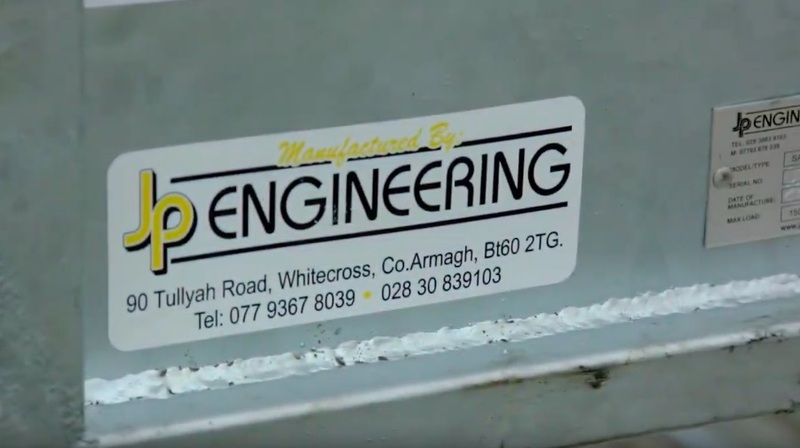 Benefits: With the help of Connected NI funding and the Innovation Voucher scheme from Invest NI, JP Engineering benefited from the expertise at SRC’s Business Support Centre to develop these new products. This has enabled the company to manufacture and supply high quality products, along with the necessary paper work that they require for CE marking.